While weve all had to look for a job, no one has ever described the process as quick and easy. Searching online for positions, sending in resumes, and then waiting for a call back isnt exactly fun. But a new app launching on the App Store, Jobr, hopes to change that. 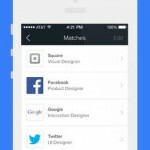 Instead of a formal search, the app brings together job applicants and hiring managers in more of an informal, and social networking, type of atmosphere. Currently, job applicants can talk to hiring managers at Lyft, Twitter, The Boston Consulting Group, Yelp, Houzz, Uber, Homejoy, and many more. The app is simple to use. 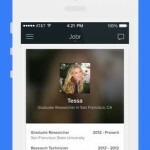 Jobr shows positions that it thinks applicants would be interested in. They can anonymously like or pass on them. 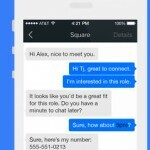 If a hiring manager likes an applicant, Jobr makes the introduction and allows the pair to chat with each other. Recruiters can post jobs and like or pass on candidates as well to find the perfect match. To help growth, Jobr is offering a nice deal for referrals. 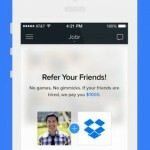 If you refer a friend to a position through the app, and they get the job, youll score $1,000. Designed for the iPhone/iPod touch, Jobr can be downloaded now in the App Store for free. I only played around with the app for a few minutes, and even though Im not looking for a job, it seems like an interesting way to find a position. The key for growth seems to be getting more job seekers and recruiters on board. 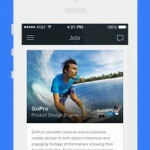 If youre looking for similar apps, take a look at our Job Hunting on the iPad AppGuide and Apps for JobHunting AppList. 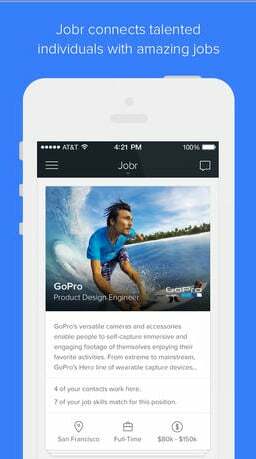 Jobr: Swipe, Chat, & Discover Your Dream Job!